Contemporary jewellery in silver, fabric and other natural and repurposed materials. Unique statement pieces, intricate, sculptural designs inspired by organic forms and textures in a range of vibrant and rich shades. Handmade in London. 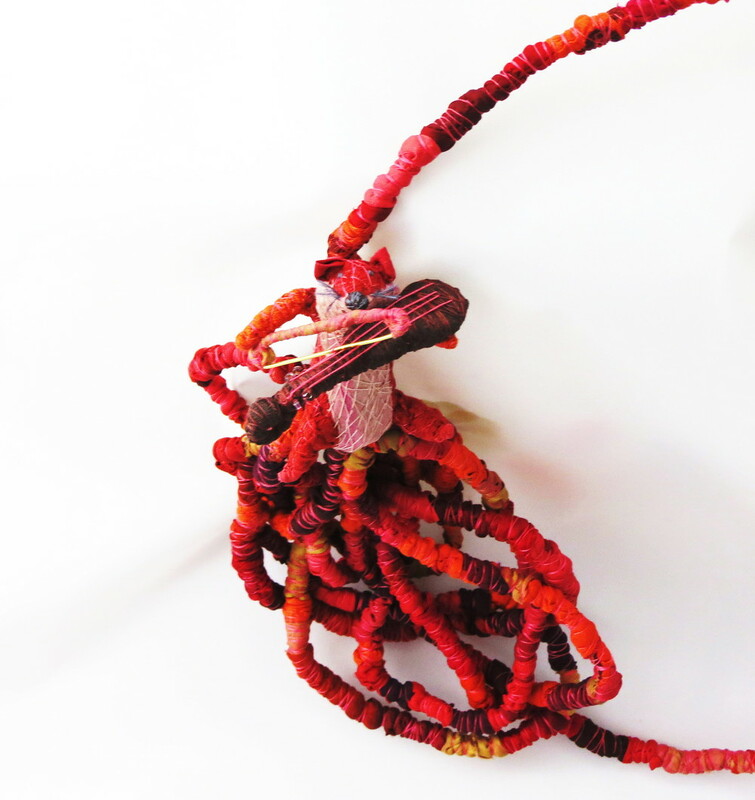 Harvest – Francesca Cecchini (2014), necklace // Materials: repurposed sari silk, thread, copper wire. Harvest – Francesca Cecchini (2014), necklace (detail) // Materials: repurposed sari silk, thread, copper wire. 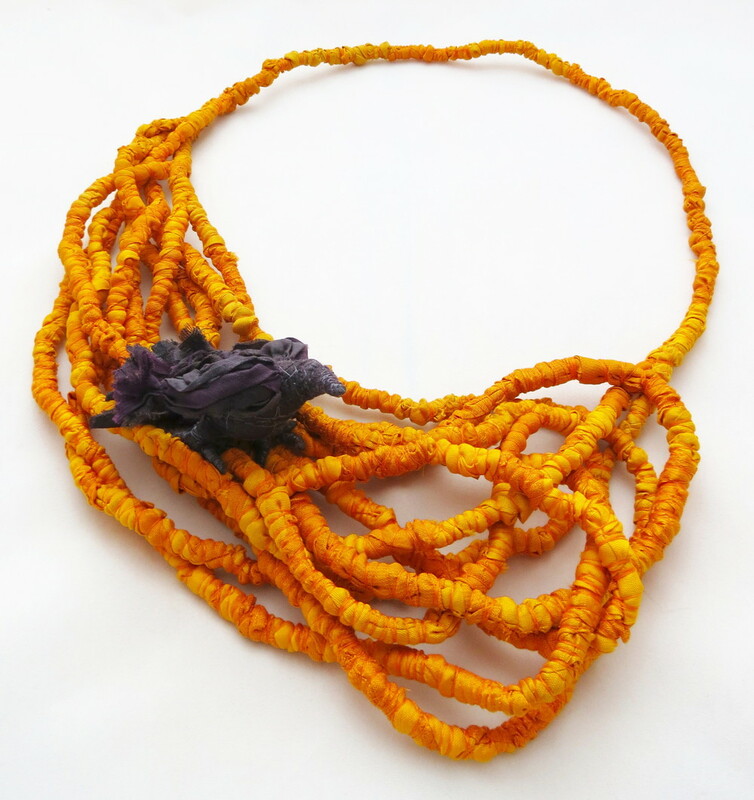 Maala – Francesca Cecchini (2014), necklace // Materials: repurposed sari silk, silk thread. 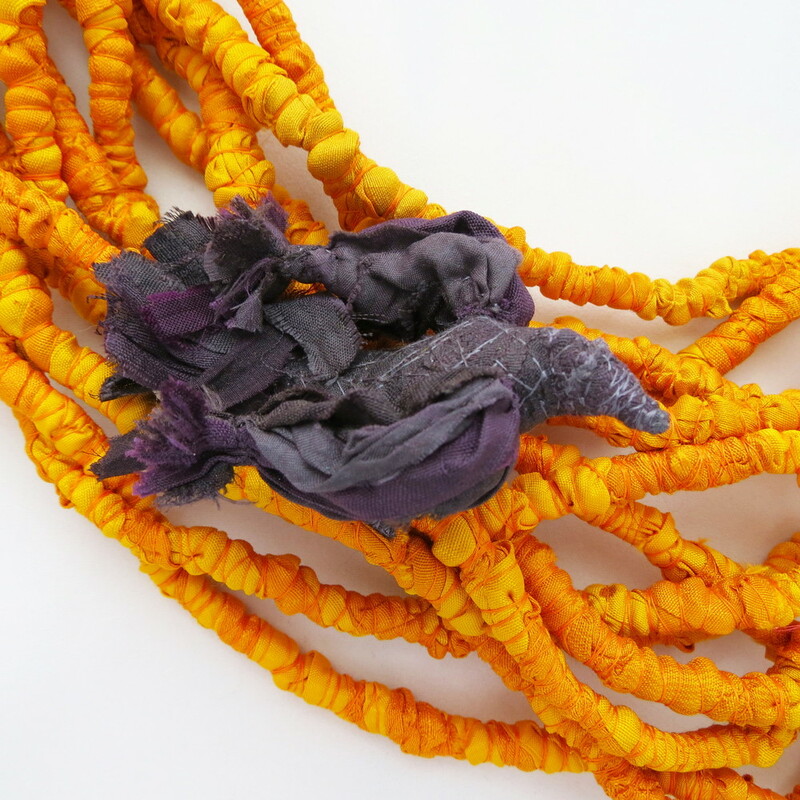 Maala – Francesca Cecchini (2014), necklace (detail) // Materials: repurposed sari silk, silk thread. In the Pond – Francesca Cecchini (2014), necklace // Materials: repurposed sari silk, silk thread, copper wire. In the Pond – Francesca Cecchini (2014), necklace (detail) // Materials: repurposed sari silk, silk thread, copper wire. 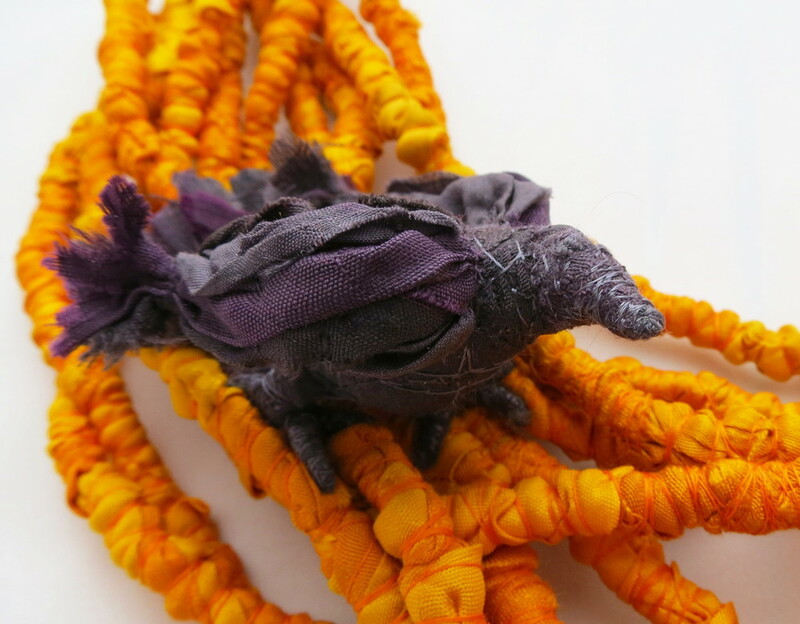 Leaving the Nest - Francesca Cecchini (2014), necklace // Materials: repurposed sari silk, silk thread, copper wire. Leaving the Nest - Francesca Cecchini (2014), necklace (detail) // Materials: repurposed sari silk, silk thread, copper wire. 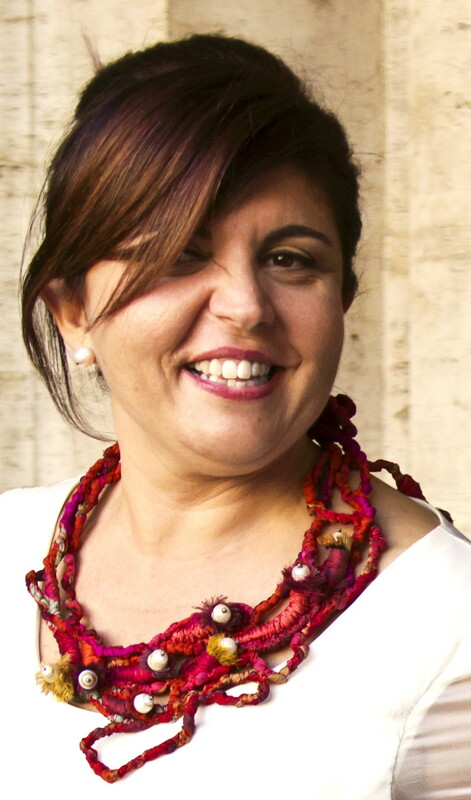 Mar Adentro - Francesca Cecchini (2013), necklace // Materials: repurposed sari silk, baroque pearls, oxidised silver, silk thread. Mar Adentro - Francesca Cecchini (2013) // Necklace // Materials: repurposed sari silk, baroque pearls, oxidised silver, silk thread. Mar Adentro - Francesca Cecchini (2013), detail // Necklace // Materials: repurposed sari silk, baroque pearls, oxidised silver, silk thread. Down the Rabbit Hole - Francesca Cecchini (2013), necklace // Materials: repurposed nylon stockings, kitchen foil, copper wire, glass beads, translucent polymer clay, silk thread. Presented at the Alice nel Paese delle Meraviglie (Alice in Wonderland) International Exhibition, Centro Congressi Medioevo, Olgiate Comasco (Como, Italy), 7th -21st April 2013. Down the Rabbit Hole - Francesca Cecchini (2013), necklace (detail) // Materials: repurposed nylon stockings, kitchen foil, copper wire, glass beads, translucent polymer clay, silk thread.